Apps are not just about being 'up to date' or keeping up with the Jones'. They are a way to communicate with your customers, a way to enable your customers, a way to research your customers. 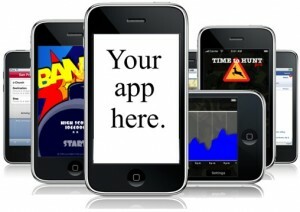 Apps bring you closer - allowing to you provide a new channel for sales, service and information. At Pigro we believe that your mobile strategy is an important part of your online strategy, and we are here to help. With a simple approach to getting you mobile....read our mobile app guide....or get in touch!